We enjoy some of Tasmania’s “Great Short Walks” at Mt. Field National Park, just a 90 minute drive from Hobart waterfront. 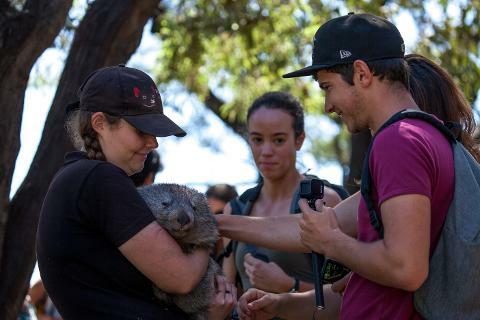 We stop along the way to meet some of our local wildlife at the Bonorong Wildlife Sanctuary. Mt. Field is Tasmania’s oldest National Park. 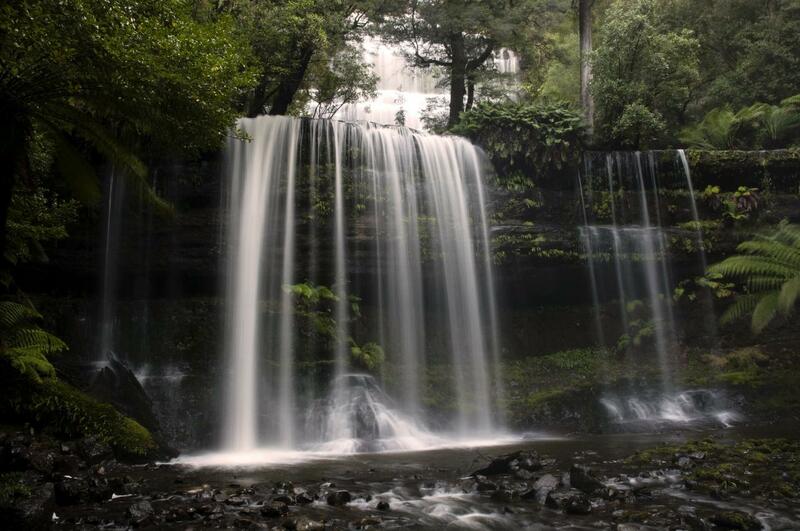 It is most famous for the beautiful 3 - tiered Russell Falls. This is one of Tasmania’s Great Short Walks, with an easy walking track meandering beside a quiet stream through beautiful forest. 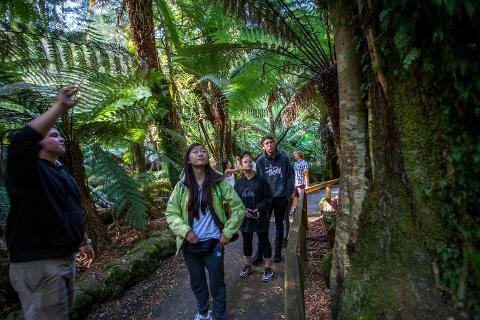 From Russell Falls you have the option to climb the stairs to Horseshoe Falls, the lesser known but equally stunning in it’s peaceful rainforest setting. We drive further into the National Park where we explore another of Tasmania Great Short Walks. Towering above us are the Tall Trees as we walk the Tall Trees Track. The local swamp gums stand as high as 80 metres above us, and these Giants of the Forest are magnificent to walk among. 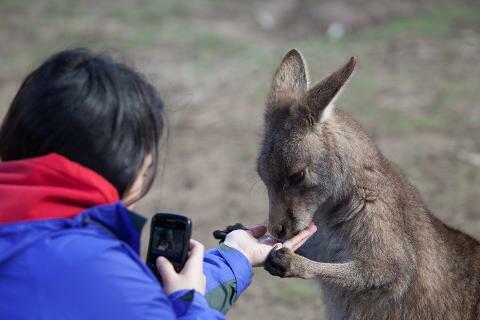 Our next stop is Bonorong Wildlife Park where you can wander among the local wildlife and hand feed the Wallabies. 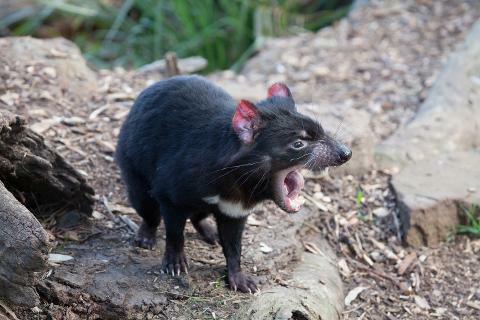 We see Tasmanian Devils, wombats and many more of our unique local animals. 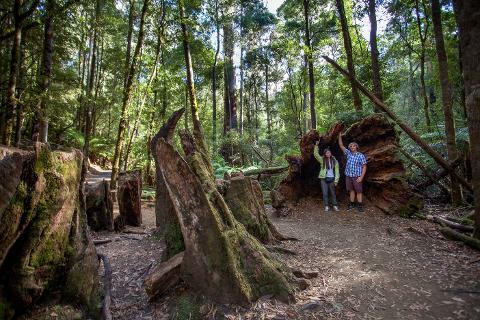 This is a fantastic day out exploring many of Tasmania’s most unique experiences, rainforests, waterfalls, wildlife and fabulous scenery. We return you to the Hobart Waterfront/Cruise Terminal. This tour is ideally a 7-8 hour excursion. Start and finish times are adjusted to suit arrival and departure times of Cruise Ships that are in Hobart for adequate time to undertake this excursion. We will pick you up from the Hobart Travel and Information Centre, 20 Davey Street, Hobart. The information centre is the on the corner of Elizabeth and Davey Streets. It is a very short walk from the Cruise Terminal. Please try to arrive around 8.50am ready to meet Tours Tasmania and depart at 9.00 am. If you have any concerns along the way you can call our office on 0439 035 463 or 03 6231 5390.